Put yourself in the queue for the new 5060 Centerpiece! Pay nothing now, we will contact you for payment when yours arrives in stock. From the father of the recording console comes the 5060 Centerpiece: the Class-A analog heart of your 21st-century studio. 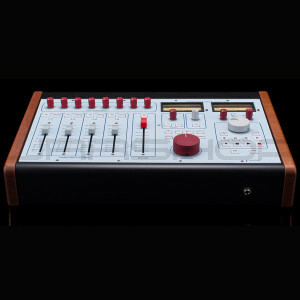 Sized for your desktop, the 5060 delivers the tonality and center section features of Rupert’s flagship 5088 console at your fingertips, cementing outboard together with serious custom transformers, flexible monitoring, DAW transport controls, and the raw power of a Rupert Neve-designed 24×2 mix-buss. With a modular, hybrid analogue/digital mix system built around the 5060, you can outfit your studio with exactly what you need – and nothing that you don’t. Utilizing modern DAW control technologies, the 5060 seamlessly integrates stem outputs from the DAW with the rest of your control room, sums the final mix, and provides 2-track outputs, source selection, and speaker feed outputs from the monitor section. 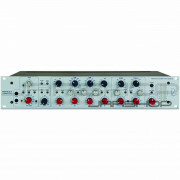 Used in conjunction with 5059 mixers and Portico modules, the 5060 forms the core of a scalable analogue system. In this arrangement, the 5059s provide individual channel control, aux routing, and expandable channel counts, the Portico modules provide preamplification, EQ and dynamics, and the 5060 unites it all. The 5060 brings your dreams of a seamless hybrid workflow to reality. 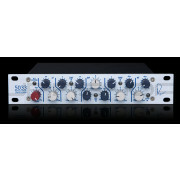 With custom transformers, a class-A mix buss and variable Silk, the 5060 can provide a wide range of tonal flavors. Drive the mix buss hard and crank the Texture knob for a rich, saturated, vintage vibe – or disengage Silk entirely for clear, wide-open sonic beauty. Silk reduces the negative feedback on the output transformer, adding harmonic content as the texture is increased. Silk red mode accentuates the saturation in the high-mids and highs, while silk blue mode features more saturation in the lows and low mids. With Silk engaged, the distortion characteristic and harmonic content of the unit are very reminiscent of many of Rupert’s class-A vintage designs. These controls add an unparalleled range of tonal options to the 5060 and should be explored creatively with a variety of different sources for best effect. Additionally, by using 5059 Satellite Mixers to feed the 5060, you can further control the tone by using different Silk & Texture settings on the dual stereo outputs,and by creating parallel processing on the stems using the insert sends into processors, and then into stereo inputs 9-24. While digital technologies come and go, the modular, class-A analog designs Rupert created decades ago have been proven to stand the test of time. Instead of merely cloning these “classics”, Rupert has spent recent years leading a team of engineers in crafting new designs, built on the same key principals, that take sonic performance, flexibility and ergonomics to new heights. These designs embody the high voltage, class-A, discrete and transformer coupled architectures found in the 5088 console, which represent a culmination of Rupert’s vast analogue circuitry knowledge. With the 5060 Centerpiece, the primary aim is to deliver the extraordinary quality of the 5088 in a compact, modular framework. With an abundance of interconnectivity, exceptional fidelity, and the tonal versatility of Silk, the 5060 is the ideal core of the sound-conscious modern studio. 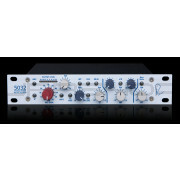 The new +/- 24V class-A topologies in the 5060 are the key to a more detailed, sweeter and spacious mix buss. With zero crossover distortion and unmatched purity, the 5060 delivers the sound of the 5088 to your desktop. Beyond providing galvanic isolation, Rupert’s custom transformers in the 5060 are responsible for its larger than life sound. To get more classic tone out of the output transformers you can both use the Silk / Texture controls for a constant effect, or you can push the levels on the input channels into the mix buss with a lower master fader setting for a more dynamic saturation without overloading your 2-track input. A 100mm Fader determines the level of the four stereo input channels. The channels can be either stereo or center-panned mono, and have mute switches and inserts. 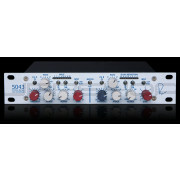 The main input channels also feed a separate “to monitor” output, which can have talkback assigment for feeding stems to multichannel queue systems or multi-track recorders. 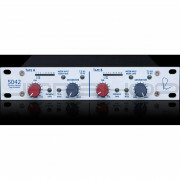 A 100mm stereo fader provides level control for the master stereo buss, outputing to the stereo buss monitor signal and the stereo master output. When pushing levels on the mix buss, it may be necessary to pull down the level on the master fader to avoid clipping the 2-track destination. 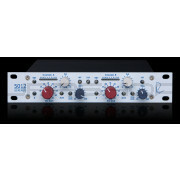 For adding compression and EQ to the mix buss, there is also a transformer coupled insert engaged by the Insert switch. Continuously variable Texture control for Silk Red and Blue modes allow you to fine tune the harmonic ratio and tonality of both stereo outputs when extra “color” is desired. Both Silk modes reduce the negative feedback on the output transformer, adding harmonic content as the texture is increased. Silk red mode accentuates the saturation in the high-mids and highs, while silk blue mode features more saturation in the lows and low mids. The included talkback mic is activated by depressing the Talkback switch. The Talkback has level control, a direct out, and assignment to monitor out 1-2 & 3-4. When the talkback switch is depressed the speaker outputs levels are lowered according to the setting of the Dim control. A talkback remote may also be plugged into the ¼” talkback remote input on the back of the 5060. A reference grade headphone amplifier with headphone level control. The headphone signal follows the selection of the monitor select. VU Meters Display the RMS signal level of the selected monitor source, and the peak indicator illuminates red when the peak threshold has been exceeded. Both VU and Peak levels can be calibrated. Engaged when either the Dim or Talkback switch is depressed, Dim reduces the volume of monitor between -6dB and -30dB.